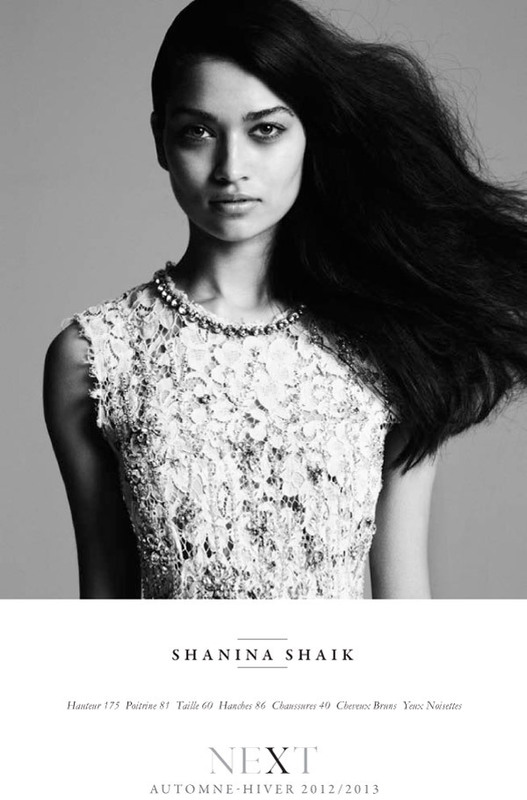 Shanina Shaik is a gorgeous mixed Aussie beauty, she was born to a mother of Lithuanian descent who also has Aussie genes and a father of Pakistani, Indian and Saudi Arabian descent. The exotic beauty has drawn my attention since I've seen the Victoria's Secret Fashion Show 2011. ''Who is this gorgeous Adriana Lima look-a-like'' was what I was thinking the whole time. But just a few months ago, when I watched the show again, I spotted Shanina again at the VSFS 2012 and just had to know more about her. I became a fan of the 5 ft 8 tall model after doing some research and now she's such an inspiration! 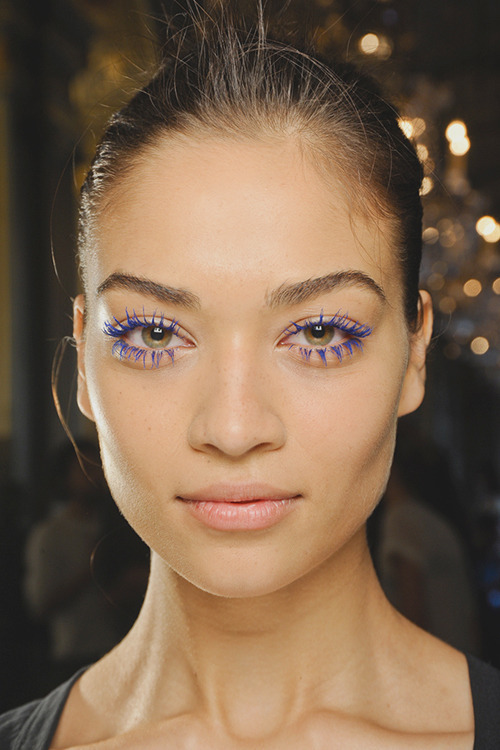 My favorite features of Shanina are her eyes, cheekbones, hair and skin and she also has an amazing body! Shanina started modeling on a very delicate and young age, when she was 8 she appeared on catalogs for Target and K-Mart. But she started serious modelling at the age of 16. Shanina has entered the 'Girlfriend Model Competition', though she didn't got very far there were agents interested in her. But she was too young to move to Sydney and instead participated on the Australian modeling reality show 'Make Me A Model'. She ended runner-up to Rhys Uhlich. Shanina Shaik has now walked shows for Nanette Lepore, Chanel, Diesel, Oscar de la Renta, Victoria's Secret Jason Wu, where she also opened the show, and many more. In 2011 she tried out for the 2011 Victoria's Secret Fashion Show for the third time. She walked alongside fellow Aussies Miranda Kerr, Elyse Taylor, Sara Stephens and Abbey Lee Kershaw. And broke through by being cast for the show and also for the 2012 show. Shanina has been featured in magazines such as GQ Australia, GQ Italia, Vogue Italia, Vogue Australia, Harper's Bazaar Australia and more. M.A.C Spring 2013 Inspired by Cupcakes! The EU Bans Make-Up Tested on Animals! Designers Diet Coke Bottles by Marc Jacobs! Miranda Kerr's TV Advert as the Face of MANGO! Kate Moss by Terry Richardson! Victoria's Secret Swim 2013 Catalog! Rihanna on Four Covers for ELLE UK!